Long before Johnnie L. Cochran, Jr. rose to international recognition as O.J. Simpson’s attorney, he was well respected in the legal community as a tireless advocate for victim’s rights. Born in Shreveport, LA, Johnnie moved with his family to California where he would ultimately begin his prestigious legal career. 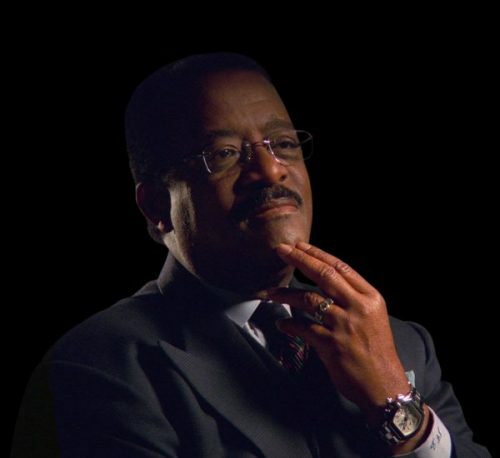 Johnnie Cochran began his education at the University of California at Los Angeles where he received his undergraduate degree in business administration. From there, he attended the Loyola Law School in Los Angeles, receiving his Juris Doctor. In 1963, Johnnie began working in the criminal division of the City Attorney’s Office in Los Angeles. After several years of public service, he opened a private law firm in Los Angeles, personally handling several civil and criminal cases. In 1978, Johnnie returned to public practice as Assistant District Attorney of Los Angeles. Johnnie worked as Assistant District Attorney for three years before returning to private practice, founding what is now known as The Cochran Firm. His return to private practice took a new direction, seeing Johnnie focus all of his attention on obtaining large verdicts and settlements for victims of negligence. In addition to these distinctions, in 1996 Johnnie was elected for membership into the Inner Circle of Advocates, an exclusive organization composed of the top 100 personal injury lawyers in America, and was inducted into the American College of Trial Lawyers, an organization whose membership comprise the top 1 percent of trial lawyers nationally. Globally, Johnnie was inducted into the International Academy of Trial Lawyers, an organization comprised of the world’s leading trial attorneys. In addition, Johnnie established scholarship funds for underprivileged youth at the University of California at Los Angeles, the University of New Mexico School of Law, and the Southern University School of Law in Baton Rouge, Louisiana. More than community outreach, Johnnie’s devotion to his fellow citizens was obvious in all of his legal pursuits. He sought not only justice for victims, but to set precedent and evoke real change in the legal system. It was Johnnie’s dream to bring high-quality legal representation to all Americans who suffered at the hands of negligent, reckless, and unscrupulous individuals, corporations, and government entities. His legacy is today carried on by the hundreds of experienced attorneys working in the many offices of The Cochran Firm throughout the United States. The attorneys at The Cochran Firm DC are honored to carry on Johnnie’s tradition: relentlessly seeking justice for all people, regardless of race, gender or socioeconomic status. To learn more about our firm, please contact us to schedule a free consultation today. The Cochran Firm DC is a branch of the national Cochran Firm and offers exceptional representation for victims in the areas of Washington, D.C., Maryland, and Northern Virginia.